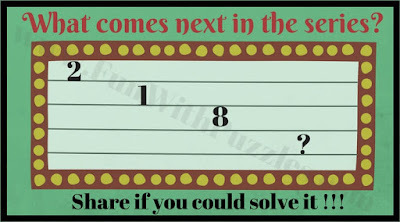 Fun With Puzzles Brain Teasers Number Series Puzzles Questions Word Puzzles What is Next Number In The Sequence? 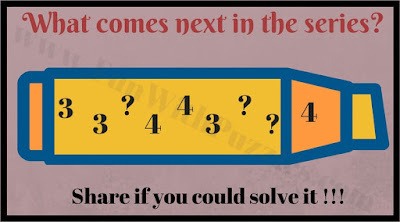 I was creating Puzzles for Sudoku Mock 21 for Logic Masters India many years back. Some of the puzzles which I created was of the type "Guess the number in the series Sudoku" whose Instructions read as below. This Sudoku type follow the standard Sudoku rules plus some of the squares will be grayed which can contain numbers from the given series. All but one numbers in the series will be given. Series follows particular pattern. One has to find the missing number by following the series pattern and then solve the Sudoku. 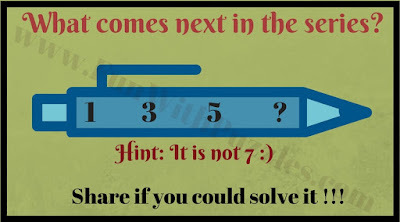 During the testing it was found that it was difficult to find the number in the series. So I decide to drop this puzzle type from the mock test and instead of this all the numbers in the series will be given. 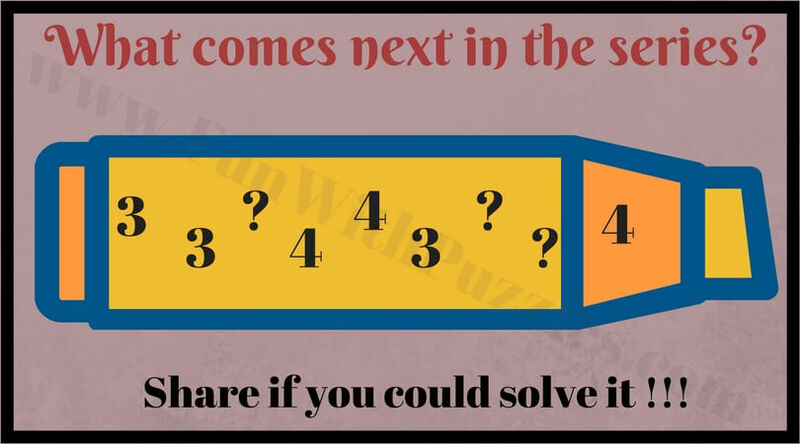 Later I thought of creating the Math Brain Teasers from these sequences. 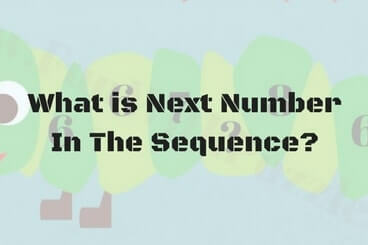 Here are these sequence puzzles in which one has to guess the next number in the series. In these series puzzles, some number series is given which follow certain pattern or sequence. There are few numbers missing in these sequences. 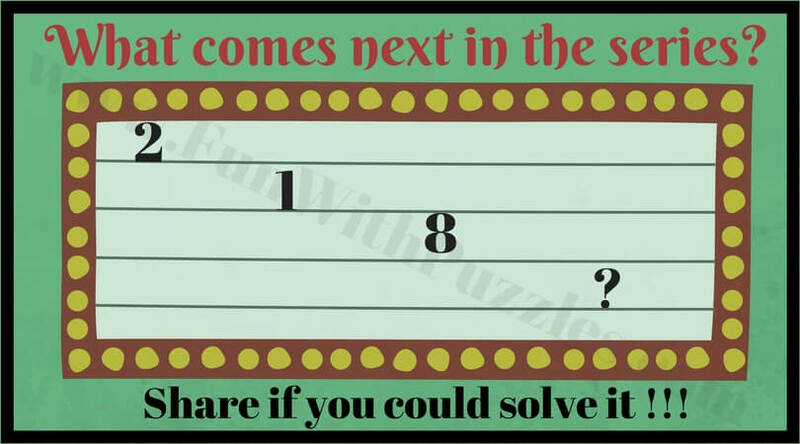 One has to deduct what is this sequence all about and then solve it for the missing numbers. 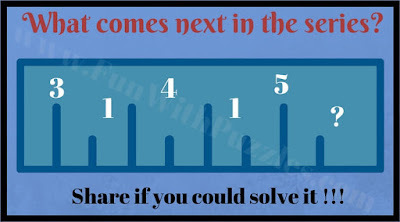 Do put your comments guessing the number which will come next in the series. 1. 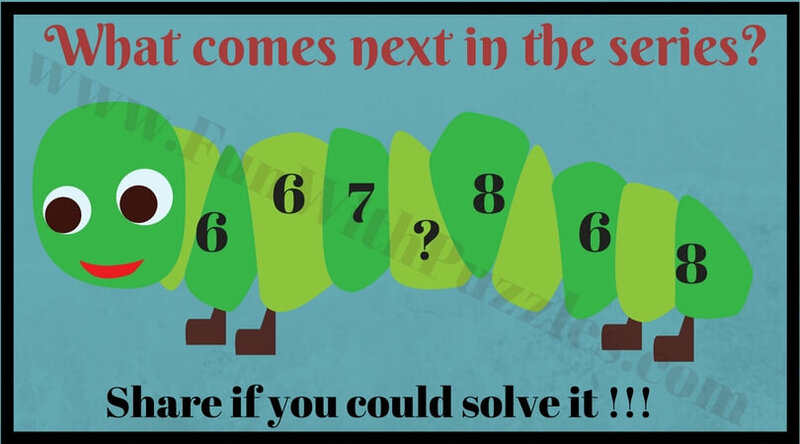 Which number replaces question mark in series? 2. What is next number in series? 3. What is next in this series? 4. What comes next in series? Here is answer to 1st Brain Teaser Question of post titled "Out of Box Thinking Fun Brain Teasers with answers to Challenge your Mind ". I have hidden this answer to avoid any spoiler. Do select the text below to read the answer. Hi Rajesh Series 1 seems to me to be a series about the days of the week. I think the number of letters for the days of the week is given starting from sunday. So the missing number must be 9 for Wednesday. And in this series I think the digits forming number pi is given consecutively as 3 1 4 1 5. So I think the next number will be 9. 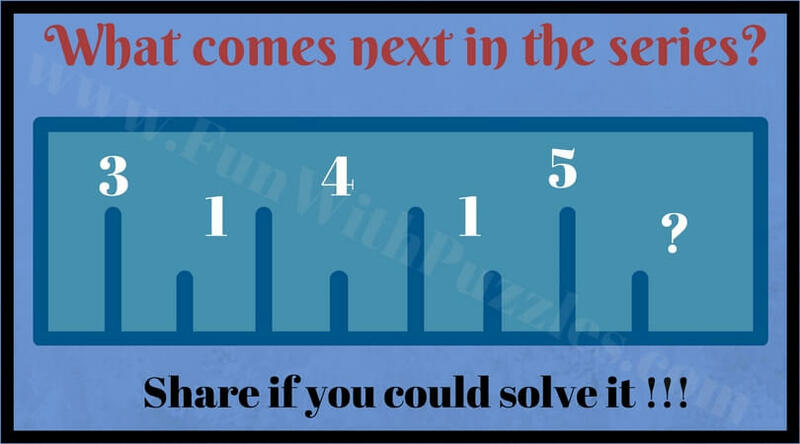 So the missing numbers seems to be 5,5,5 in this series. According to my rule explained above I must put again 2 after 8 since it starts with t. But if the series is decided to be formed by different digits then I must skip 2 and write 3 to the next place since it also starts with t. I have no other idea about this sequence. So I think the last digit must be 9 which is missing. Most of your answers are right and for Series 5 your logic is quite good but I have something else in mind for Series 5. I will wait for some other people put their guess and logic behind it before I put my logic.